Last week we marveled at the old Hine School transformation. “The cold-press craze will soon touch down in Eastern Market. Stanton Development and EastBanc, Inc. announced today that DC’s popular fresh-pressed juicery, JRINK, has signed a five-year lease and will open a 471-square-foot specialty shop at 750 C Street, SE. Founded by two former Wall Street women, JRINK makes being healthy, easy, with numerous pop-up shops inside fitness studios across the DC metropolitan area. This is JRINK’s first leased standalone storefront property and will feature its entire assortment of locally-sourced nutritious beverages, as well as new made-to-order items such as smoothies, toasts, and bowls. JRINK is known throughout the national capital region as conveniently delivering farm-to-bottle-to-fridge healthy cold-pressed juices, a method of juicing that puts 30 percent more juice in each bottle with 40 percent more nutrients with no added sugars, preservatives or processing. 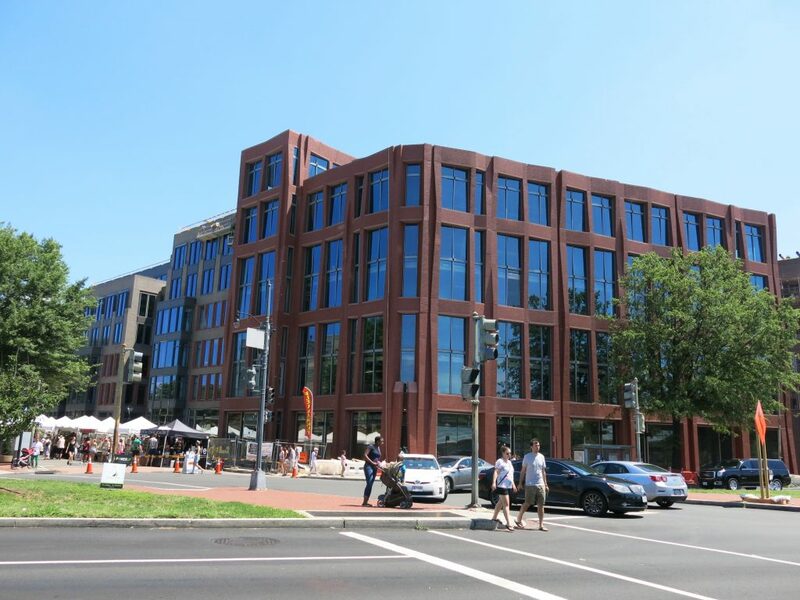 JRINK is slated to open mid-September at Eastern Market and its new Capitol Hill location will be the company’s flagship site. The JRINK agreement completes the development team’s commitment to lease 1,000 square feet of space to local small retailers, building on the previously signed five-year lease agreement with home goods retailer and Flea Market veteran Antiochia. The new storefronts in the project’s North Building will also include five-year lease agreements with ice cream and dairy shop Trickling Springs Creamery, as well as a 10-year lease agreement with District Veterinary Hospital.